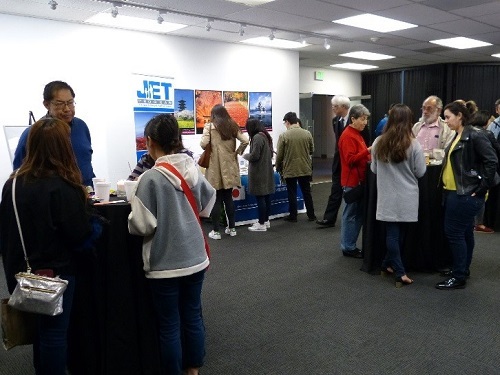 On Wednesday, March 28, 2018, a joint film screening and reception for “East Side Sushi” was held by the Consulate General of Japan, Consulate General of Mexico, and Japan Foundation in Los Angeles. 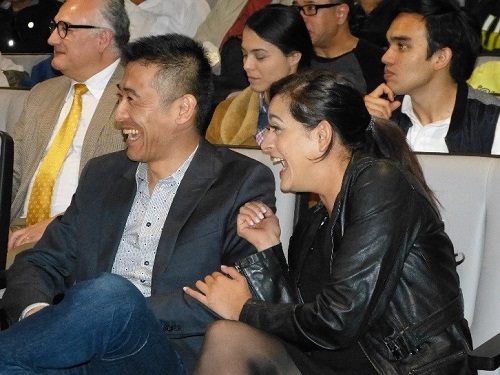 The event took place at the CCCM Mexican Center for Culture and Cinematic Arts’ theater and gallery as part of the Mexican Consulate’s “Consular Movie Club.” It was also attended by actors Ms. Diana Elizabeth Torres and Mr. Yutaka Takeuchi who played the main characters in the film. 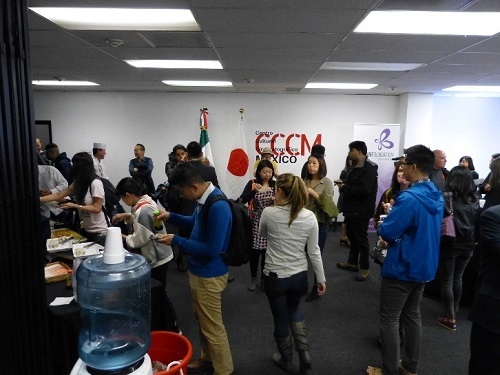 Additionally, sushi was prepared by Mr. Andy Matsuda, chef and owner of Sushi Chef Institute, who trained the actors for their roles. “East Side Sushi,” also known as “Sushi a la Mexicana,” is a 2014 feature film by director Anthony Lucero about a Latina single mother, Juana (Diana Elizabeth Torres), who aspires to become a sushi chef. She soon finds herself under the tutelage of Chef Aki (Yutaka Takeuchi) at a local Japanese restaurant in Oakland where she challenges the basic definition of Japanese food with her own sushi-making techniques. 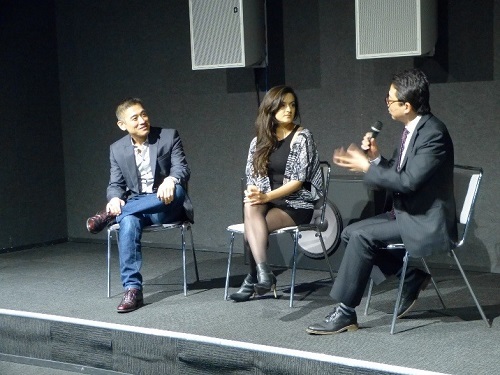 The independent film was released to critical acclaim, earning many positive reviews. 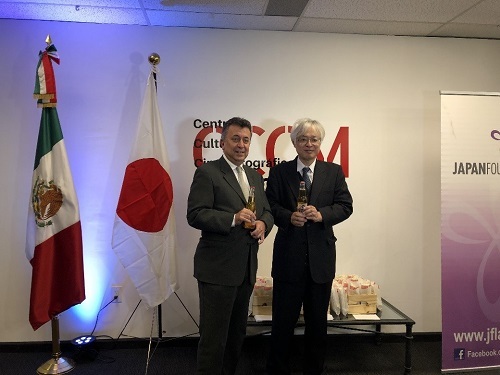 by the Consulate General of Japan Los Angeles.